The numbers surrounding connected cars are big. And compelling. By 2020, the percentage of cars shipped with internet connectivity will rise to 75%. And, while the average price tag will be around $55,000, the connected car market is expected to be worth $12 billion by 2020. Clearly, the next generation of motoring is within our grasp. But what does that mean for drivers and dealers? 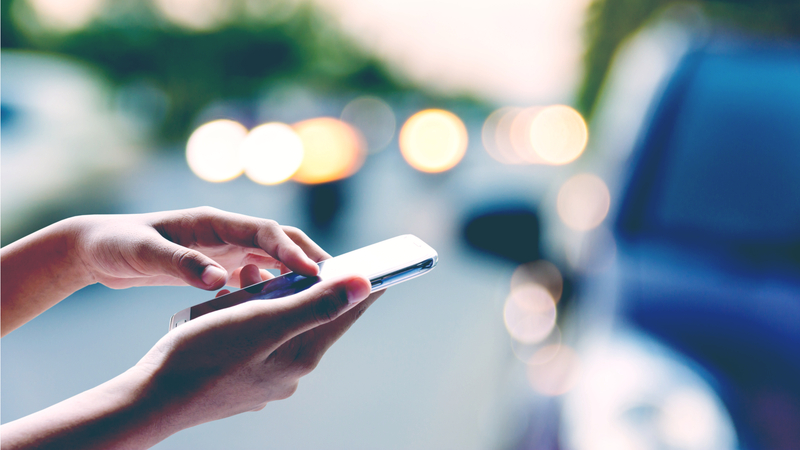 In this post, we consider the benefits of connected cars and what dealerships should be aware of when they begin arriving on the forecourt. Connected cars enable drivers to reach their destinations safely, quickly and as efficiently as possible. For instance, the intelligence hidden beneath their shiny exterior gives connected cars the ability to communicate directly with traffic signals, enabling them to automatically come to a stop before reaching a red light. Engines will be better managed, too, with automatic stop/start technology ensuring the best possible fuel efficiency, without the driver having to do anything more than simply drive. Driving patterns can also be tracked, and therefore the performance of the car tuned to best suit a person’s driving style, thus improving fuel efficiency. Connected cars are a product of the Internet of Things (IoT) which has promoted everyday objects to devices that are capable of communicating with the manufacturer to facilitate more strategic future development and – most importantly – report any issues. In the automotive industry, this really is a boon; it completely transforms the servicing aspect of owning a car. Connected cars can automatically send diagnostic information back to base and provide dealerships with vital information about forthcoming maintenance requirements. This same information can then be leveraged by insurance agencies in order to calculate a premium that is directly linked to the usage and maintenance of the vehicle. Perhaps the most admirable benefit of the connected car revolution is driver and passenger safety. Vehicle-to-vehicle communication will create a network of road users that automatically look out for one another. For instance, if a car spots an obstacle on the road, it’ll be able to send a warning to the vehicles approaching the hazard. Connected cars can intervene under particularly treacherous or unexpected conditions, too. With lightning-quick reactions and the ability to automatically take the wheel, your next car could be the safest you’ve ever owned. Can connected cars be hacked? If something is connected to the internet, it can technically be hacked, so the immediate answer to the above question is “yes”. However, that’s no different to your laptop, smartphone or internet-connected TV – the challenge lies with the manufacturers in creating smart devices that benefit from connectivity but which have a security-first design. Owners of Tesla cars and similar vehicles will already be familiar with security updates that are applied overnight in answer to the increasing number of cyber threats. As connected cars become more commonplace, this will become a fact of life, but one that is unlikely to trouble the owner or become a burden. A lack of consumer understanding. What is a connected car, exactly? Even though we all increasingly benefit from the wonders of modern technology, few customers who enter your dealership will understand how an intelligent vehicle might benefit them. The ability to educate and engage them will therefore be of paramount importance. Autonomous driving capabilities (improved safety and more relaxed journeys). More convenient servicing thanks to pre-emptive maintenance (no more missed services or MOTs). Lower insurance premiums, thanks to improved safety and up-to-date compliance with road legalities. Future improvements to vehicle functionality through unobtrusive overnight software updates (some of which may even make it feel like a new car!). Dealerships that want to remain competitive must adapt to the modern consumer’s purchase journey and expectations. For connected car owners this means expedited processes, efficient use of time, and seamless online to offline experiences. Is your dealership ready for the connected car revolution?